The United States needed to reform health care because the cost was so high. Medical bankruptcies affected up to 2 million people. Rising health care costs threatened to consume the entire federal budget. It made the cost of preventive care unaffordable. That sent many low-income people to the emergency room, raising costs even higher. High costs made the U.S. health care system cost twice as much per person compared to any other developed country. As a result, health care contributed $3.2 trillion or 17.8 percent to gross domestic product. That's the highest percentage in the developed world. There are three reasons why costs are so high. First, most of the cost comes from treating people over the first 10 days and last 10 days of their life. A lot of progress has been made in terms of medical procedures that save premature babies and extend the life expectancy of the elderly. But these innovative procedures are very expensive. Some other countries limit that high level of care. They refuse the procedure if it has a low chance of success. In the United States, such care is given even if the prognosis is poor. The second reason for high health care costs is the rise of malpractice lawsuits. Doctors often over-test, ordering $1,000 MRIs and $1,500 colonoscopies. They do this even if they don't think they're needed. It protects them from getting sued because they didn't order a particular test. The third reason is that there is less price competition in health care than in other industries, such as consumer electronics. Most people don't pay for their own health care. Patients only pay a set fee or co-pay, while the insurance company pays the rest. As a result, patients don't price-shop for doctors, lab tests, or procedures as they would for computers or television sets. Since health care is so expensive, most people buy health insurance coverage. That's why most discussions about health care reform is centered around making insurance more available. Insurance operates by charging a monthly fee. This is also called a premium. In return, the company pays medical expenses. Group health insurance companies are profitable when more money is received in premiums than is paid out in claims. Most people in the United States receive group health insurance from their employer, who also pays part of the premium. Companies can offer health insurance as an untaxed benefit. Federal tax policies subsidize the employer-provided group insurance system. Those who don't have an employer-sponsored plan must buy individual health insurance. That's expensive. In the past, companies could deny you coverage if you had a pre-existing disease or condition. As an alternative, you could affiliate yourself with a group, such as the American Association of Retired Persons or COSTCO. They offered lower rates because they had a pool of healthy people. The federal government subsidizes health care for those over 65 through Medicare. Part of Medicare, the Part A Hospital Insurance program, pays for itself from payroll taxes. Medicare Part B, the Supplementary Medical Insurance program, and Part D, Prescription Drug program, are not 100 percent covered by premium payments. Overall, Medicare payroll taxes and premiums cover only 57 percent of current benefits. The remaining 43 percent is financed from general revenues. The federal government also subsidizes health care for families below a certain income level through Medicaid. It is funded by federal and state general revenues. So it adds to both federal and state costs. Health care reform is needed for four reasons. First, health care costs have been skyrocketing. In 2011, the average cost for a family of four increased by 7.3 percent to $19,393. That's almost double of what it cost just nine years before that. By 2030, it is estimated that payroll taxes will only cover 38 percent of Medicare costs. The rest will contribute to the federal budget deficit. Second, health care reform will improve the quality of care. Most Americans are surprised to find that their country has the worst health care in the developed world. Chronic diseases cause 70 percent of all U.S. deaths and affect 45 percent of all Americans. As the population ages, the incidence of these diseases will grow rapidly. By 2023, cancer and diabetes will increase by 50 percent, while heart disease will rise by 40 percent. At the same time, hypertension and lung disease will be up by 30 percent and strokes will occur 25 percent more often. Each year, the cost of treatment totals $1.7 trillion, representing 75 percent of all health care dollars spent. This cost can be lowered through disease prevention and wellness programs. Third, reform covers the almost 25 percent of Americans who had little or no health insurance. Over 101,000 Americans died each year just because they didn't have insurance. For example, the average emergency room visit cost $1,265. The average cost of chemotherapy was between $7,000 and $30,000. These costs could wipe out people’s savings or cause them to lose their home. Even worse, many people would have to forgo treatment because they just couldn't afford it. Not only is this bad for them, it's also bad for the economy. Half of all bankruptcies result from high medical costs. Fourth, health care reform is needed to stem the economic costs of health care fraud. Between 3-10 percent is lost to fraud each year. That amounts $60 billion to $200 billion annually. If those same percentages are applied to the $436 billion Medicare program, the cost of fraud there will range from $14 billion to $30 billion. In 1993, President Bill Clinton launched the Health Security Act under the leadership of First Lady Hillary Clinton. It offered universal health care coverage with managed competition between health insurance companies. The government would control the cost of doctor bills and insurance premiums. Health insurance companies would compete to provide the best and lowest cost packages to companies and individuals. This is different from Medicare in which the government contracts straight with doctors, hospitals, and other health care providers. Medicare is called a single-payer system. Most people would receive insurance through their employers. People without jobs could purchase health insurance on their own from the regional health alliances. The federal government would subsidize the costs for low-income individuals. That bill failed in 1994. In 2010, the Patient Protection and Affordable Care Act became law. It started phasing in new health care benefits and costs that year. It also began extending coverage to those with pre-existing conditions, children, and those who were laid off. It gave subsidies to small businesses and seniors with high prescription drug costs. It also provided funding to ease the shortage of doctors and nurses. The costs were offset by higher payroll taxes and fees to prescription drug companies as well as lower payments to hospitals. Even before being elected president, Barack Obama campaigned to reform health care. He wanted to make insurance more available to those who couldn't get employer-sponsored insurance. His "public option" sought to expand a Medicare-like program to anyone who needed it. This would lower the government's cost by including younger, healthier people who paid a modest premium. But concerns over "socialized medicine" led to health insurance exchanges. The ACA prohibits illegal immigrants from receiving government funds to pay for insurance. At the same time, it doesn't require people to prove citizenship and doesn't provide for enforcement. The ACA also created a National Health Board. This new federal agency would set a cap on total health care spending for the nation. That meant it regulated health insurance premiums. For individuals, it set limits on maximum annual out-of-pocket costs. President Trump has tried to reverse these health care reform efforts. Congress has tried and failed to repeal Obamacare. But Congress did eliminate the requirement that everyone buy insurance or face a tax. That could reduce the number of people with insurance. Over time, health care costs will rise faster as the uninsured return to using emergency rooms as primary care physicians. Trump's health care plan has found many other ways to weaken the Affordable Care Act considerably. As early as 2011, it appeared that the Affordable Care Act was working. As of May of that year, more than 600,000 new young people became insured. It happened due to ACA’s provision that children up to the age of 26 could be covered by their parents' insurance. It also increased profits for the insurance companies. In theory that should translate to lower premiums. Those who are newly insured pay into the system but often require fewer health services. In fact, health insurance companies reported record profits for the first quarter of 2011. 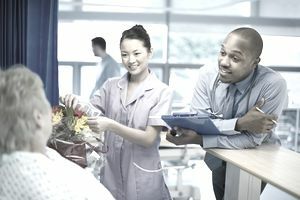 Second, 46 percent more small businesses offered health care benefits in 2011 than in 2010, according to a Kaiser survey. More insured small business employees meant fewer bankruptcies, better credit scores and higher consumer demand. This allowed them to spend more, boosting economic growth. In fact, there were fewer bankruptcies in August 2011 than at the same time the previous year.